Kinship Mentors serve mentees in many ways, from providing them with a positive, understanding, and active role model, companion, and friend to showing them unconditional acceptance, open mindedness, and awareness of differences. 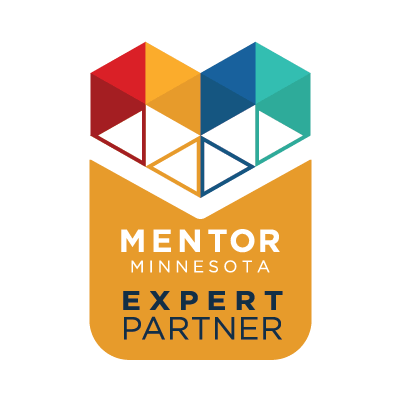 Being a Kinship mentor means showing your mentee commitment to weekly meetings and dedication to proactive communication with your mentee and the Kinship team. Kinship Mentors have the opportunity to serve a mentee from one year (minimum) to many years. Schedules and weekly get-togethers are individualized between the Mentor and Mentee parent/guardian. Kinship Mentors should be dependable, positive, enthusiastic, and interested in a wide variety of interests. They should have a non-judgemental and open minded approach to situations and unconditional acceptance and awareness of differences as well as similarities. Mentors need reliable transportation and time each week to dedicate to a child in need. Kinship provides all mentors training and support both before and during the mentoring period. Mentors will be able to participate in informational sessions, consultations, orientations, and follow-up discussions. Mentors will also receive e-newsletters to keep them up to date, informed, and inspired with suggested upcoming activities in the community. Being a Kinship Mentor not only benefits your mentee but also has many positive benefits for you too! As a Mentor you’ll be able to provide vital support, attention, and interaction for a child in need. You’ll help them develop social skills, and learn how to take responsibility, give respect, and gain confidence. Experience new things together, learn about different cultures and socio-economic backgrounds, and most of all gain a friend. Sign up with your email to receive program news and updates. Kinship Greater Twin Cities is a program of the Greater Minneapolis Community Connections.